Mary, Queen of Scots, 2018. 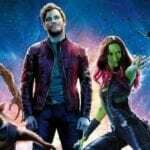 Starring Saoirse Ronan, Margot Robbie, Jack Lowden, Guy Pearce, Ian Hart, James McArdle, Gemma Chan, Ismael Cruz Córdova, and David Tennant. 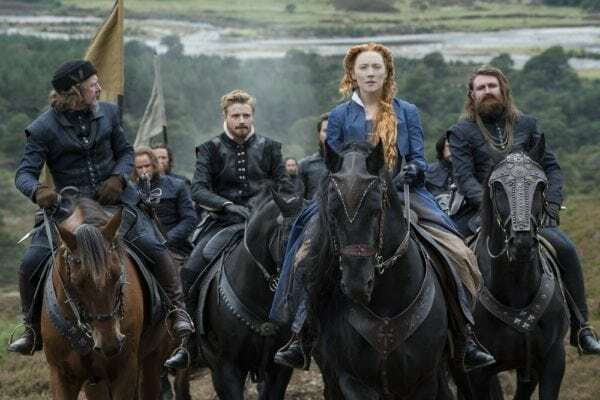 Returning to the UK after the death of her husband, Mary Queen of Scots has a claim to the English throne, which puts her on a collision course with Queen Elizabeth I. In the politics of 16th century Britain, words and semantics had power. These were not the days of “Brexit means Brexit” and “Make America Great Again”, but days when the wrong word could lead to your head being removed from your shoulders. It’s into this melting pot of tension that veteran theatre director Josie Rourke throws the audience for her debut feature film. 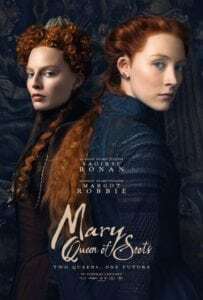 Mary, Queen of Scots is an elegantly written and thrillingly acted tale of two female figureheads battling across borders and with babbling men surrounding them. It’s melodramatic and unashamedly fictionalised, but it’s also a joy to watch. Saoirse Ronan’s title character immediately makes an impact, striding into the movie as a savvy, young monarch whose political instincts are shrewd. She’s seen on multiple occasions simply out-thinking the men around her, entirely accustomed to being the subject of back-stabbing plots. Her opposite number in England, played with intriguing nuance by Margot Robbie, is not quite as astute or ruthless and perhaps underestimates Mary’s ambition and drive towards power. Despite the awards attention being lavished upon Robbie – including a Golden Globe nomination – this is undoubtedly Ronan’s movie. She’s a consistently engaging screen presence whether shining in awards contenders like Lady Bird or elevating material like the recent adaptations of On Chesil Beach and The Seagull, but Mary gives her the opportunity to flex new muscles. This is a fierce Ronan whose every movement connotes self-assured power, which is enough to get past the more overwrought elements of the movie. It’s a film in which the fictionalised face-to-face encounter between Mary and Elizabeth takes place in a room of dramatically-inclined swirling white sheets. No opportunity to inject drama is wasted in favour of accuracy or subtlety, whether that’s in dialogue, story or costume and production design. This is particularly true when it comes to the supporting cast, whose performances are pitched almost entirely at 11, from Ian Hart’s scheming lord to David Tennant as a preacher with rhetoric that seems to become angrier and more absurd every time he appears. The brightest light of the supporting ensemble is Ismael Cruz Córdova as Mary’s friend and confidante Rizzio – a character who’s responsible for some of the highest and lowest emotional points of the film. While other films of this kind suffer once the narrative gears begin to turn, the script from former House of Cards showrunner Beau Willimon keeps the knife twisting as the political manoeuvring becomes more intense and the stakes get higher. Rourke’s direction is dynamic enough to keep the scenes of darkened-room plotting engaging, but she also knows that this is a movie that benefits from holding back and allowing the actors to shine. Much like the over-sexed and over-cranked TV series The Tudors a decade or so ago, this is a movie that seeks to give history a sheen of handsome costumes and lurid details. It’s no substitute for an actual historical account of the period given the multiple liberties it takes, but those who already know their Tudors from their Stuarts will find plenty to enjoy here. 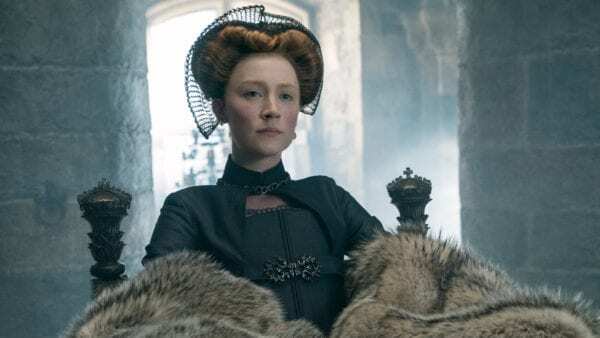 At its core, though, Mary Queen of Scots is a showcase for two very talented lead performers at the top of their game.